I am happy to announce that the remediation of the lead-polluted Shikira, in Rafi Local Government Area of Niger State has been commenced by the Federal Ministry of Environment. Sadly, this is coming one year and three months after the devastating outbreak of lead poisoning that killed about 30 children and left hundreds of others with high level lead contaminants in their blood, in the rural mining community. However, as they say, better late than never. In view of the importance of this clean-up, I will like to use this opportunity to look at the progress made at the Federal Ministry of Environment, eight months after swearing in of the two ministers posted to oversee the country’s foremost eco-institution. This is a task I cannot avoid, considering the fact that during the electioneering days of President Muhammadu Buhari, I wrote an article entitled, “How green is Buhari?” which was informed by then Candidate Buhari’s campaign promise to Ogoni elders that he would ensure that the UNEP report on the clean-up of Ogoniland was implemented. And then, immediately after the appointment and posting of his ministers, I wrote the piece, “Buhari’s green pegs in green holes” where I pointed out that the ministers sent to key eco-related ministries had what it takes to handle such portfolios. To the question of whether Buhari would fulfil his campaign promise to the Ogoni elders, it can be seen that the train has already left the station, and the answer is now manifest. The singular promise is that he would dust up the almost-buried UNEP report on Ogoni pollution, and implement it by cleaning up the awfully polluted community. For those cynical towards the presidential action in Ogoniland, I can only wonder why some people have a penchant for pandering towards the parochial. 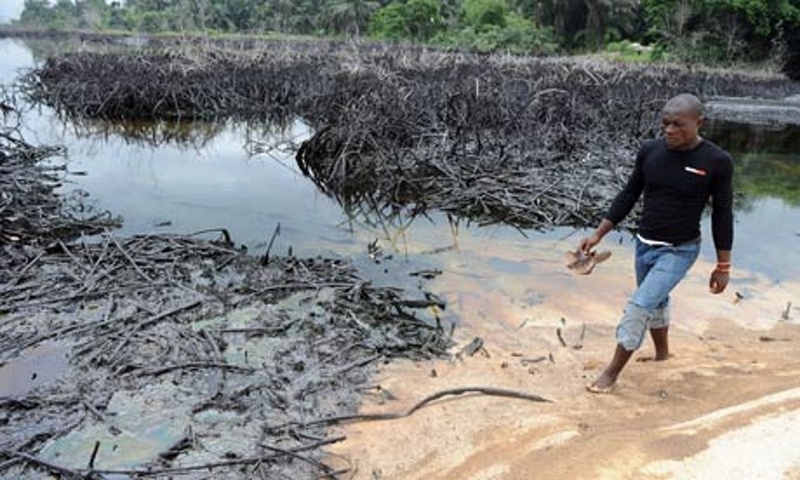 If deploying to Ogoni was that easy, why didn’t Nigeria’s immediate past president do so? And never forget, UNEP did not say that Ogoni could be cleaned in one day; it said the pollution is so widespread and abysmal that it would take 30 years and billions of dollars to do so. But then, somebody has to take the first step. And, if Buhari is that leader that summoned the will to take the eco-stride, then we all must commend him! Now, to the green ministers. Last year, I argued that, indeed, we have green pegs for green holes. Before now, the country’s environment ministry was notorious for being run by what some environmentalists usually described as quacks. These were politicians who in the spirit of political patronage, were called up to fill the quota of their godfathers or ethno-religious demographics. While they were not considered for “specialist” ministries like Health and Justice, they were quickly inducted into the Ministry of Environment to carry on business as usual. After all, even the President who posted them never even considered the ministry as “juicy”. So, Nigeria found itself in the hands of environment ministers who never understood anything about global environmental best practices; and how the environment is presently the centre piece of international politics, and the fabric of sustainable development. But Buhari appointed Amina Mohammed, a woman with over 30 years experience in the sector (in civil society, in private practice and in government), to sit at the helm of the ministry. Concerning the Shikira affair, Mohammed showed exemplary leadership by visiting Shikira; a singular action that guided fundamental message to the government, and succeeded in opening its mind to the import of the Shikira situation, and subsequently galvanised action from relevant stakeholders towards commencement of the remediation. But then, that was not the first time I had become aware of Mohammed’s hands-on approach to eco-exigencies. My first experience was towards the end of last year, just weeks after her swearing-in. That day, I had cause to call Priscilla Achakpa, the Executive Director of Women Environment Programme. Achakpa sounded busy on the telephone, and I could hear some chaotic background noise. She then apologised, and told me that we should leave the discussions for a later date because she was actually on an urgent assignment. She told me that as I spoke with her, she was with the minister of environment on a nationwide situation-analysis trip to ecological emergency flashpoints. And, at that moment they were at the farthest frontier of the desert-encroached Yobe ecosystem, taking inventory of the impact of desertification in the North-East. I was really impressed because that was at the peak of the Christmas season, when people talked more of holiday and less of work. That was when I realised that my hunch – and my green pegs article – was right on the money; Buhari had sent a true development worker to undertake the country’s eco-business. This then shows that the first task that was embarked on the ministry under its new leadership was a proper, data-based, research-oriented situational analysis of Nigeria’s environmental infrastructure, and eco-disaster theatres, from Nanka to Anka. And of course, President Buhari relied on the Ministry of Environment to guide the Ogoni clean-up project. Nevertheless, I am aware that many a Nigerian would demand to see empirical evidence of the impact of the environment ministry in his constituency and neighborhood; and its trickle-down effects on his every-day livelihood. I have personally looked around for certain projects too. I wanted to know how the ministry would carry on with energy efficiency initiatives, like clean cook stove; tree planting, waste-to-wealth, and especially the Extended Producers Responsibility programme that has yet to take off in the country. In fact, being a stakeholder of sort, I did some leg work. But that was when I came face to face with some hard truths, which I will like to share with my readers. First of all, I realised that no matter how much of political will or good intentions that one deploys to carry out environmental tasks, the sector still faces the problem that others face – money, money, money! To illustrate, I gathered from a highly placed source that the Ministry of Environment sent a proposal of about N100bn for its capital projects for the 2016 Appropriation Bill; but the Presidency approved only about N5bn (including funds for Shikira remediation). Now tell me, to what extend could N5bn attempt to achieve N100bn tasks? The answer is why our eco-system may not see major improvements, yet. Some people may ask, what about the Ecological Fund? – if not for anything, but for the fact that by nomenclature, it is money for environmental projects. But for others that know, there is nothing more deceptive than the concept of naming a country’s official slush fund after the environment. I am also privy to privileged information that Mohammed approached President Buhari to domicile the money where it should be under environment ministry, but he gave her a vigorous shake-of-head. This is significant. A president touted – at least by my humble self – as green, should not have had any qualms in redirecting the almighty Ecological Funds Office to the Environment. But realpolitik took the best of him. Who can blame Buhari, after all he did not get to power through the platform of a Green Party? Therefore, I have one advice for the environment minister. Because there is no money to do much, just try and entrench one policy to unite the eco-system with the private sector, i.e. the EPR. It would be a great monument to your name that in many years to come, Nigerians would remember you for institutionalising Waste-to-Wealth as driven by business and not by eco-justice.